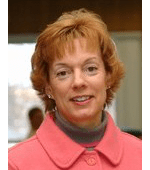 Betty Strehlow serves as the Vice President of Academic Affairs and Student Services at Ridgewater College in Wilmar, MN. Her career in higher education began as a faculty member teaching sociology and psychology. Currently, Dr. Strehlow is the chief academic officer and provides leadership for all functions and staff in academic affairs, student services, information technology, customized training & continuing education, institutional research & effectiveness, and college special projects. She guides and oversees college accreditation efforts, new initiatives, strategic planning, and international partnerships. She has conducted and published research on the effectiveness of developmental coursework and on work relationships in colleges. She holds a Bachelor of Arts degree with majors in Psychology and Sociology, a Master of Science degree in Psychological and Human Services, and a Ph.D. in Higher Education Leadership. When Betty attended a keynote session given by Anna Maravelas (president of Thera Rising), she found the concepts of Anna’s message profoundly resonated with her. Several years later when she was exploring avenues to enhance relationships in the workplace, the power of these concepts and their potential to foster growth for employees at all levels of an organization drew her back to Thera Rising’s methods. She became a certified facilitator of the program in 2016.